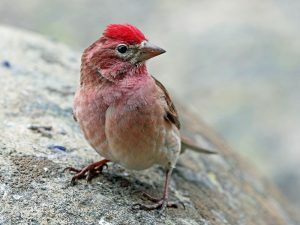 The Cassin’s finch, a North American bird is named after the curator of Philadelphia Academy of Natural Sciences, Mr. John Cassin. 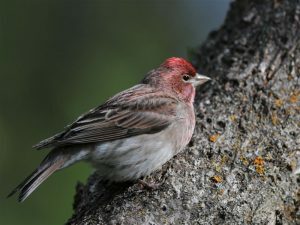 The species is often found at higher altitudes. Cassin’s finches crouch and stay in that position whenever they feel threatened. Despite being in a statue-like position, they just move their throats to produce alarming call in a low tone. They usually reside at higher altitudes but come down to lower elevations during winter months. They extend their neck towards the front with their closed bills and keeping the body in a horizontal alignment to frighten their enemies. 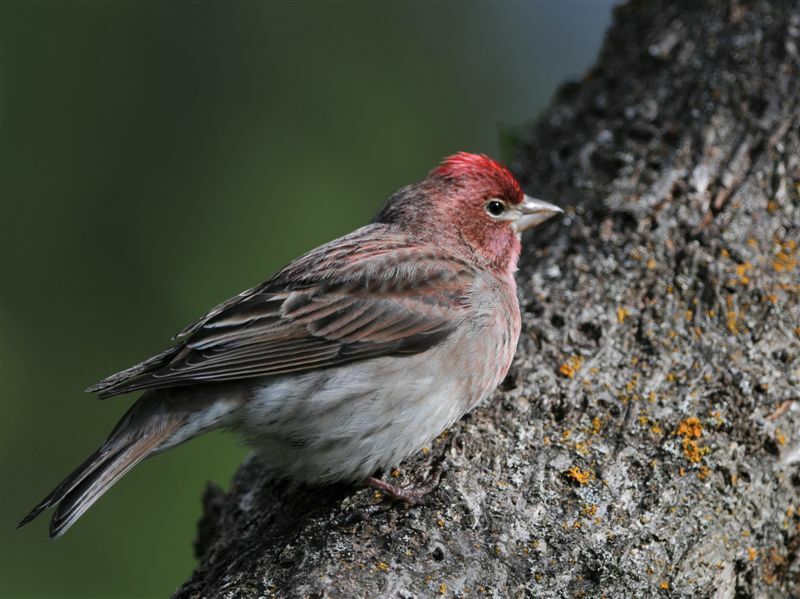 Whenever a female looks for a nesting place, her male counterpart wards off other male finches from the place. 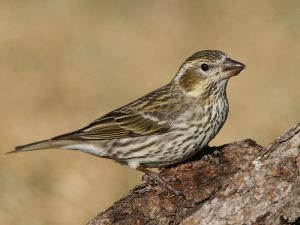 Post-breeding, the finches join other birds pine siskins, evening grosbeaks, red crossbills, and other finch species. During the breeding season, they make a pair and mate. 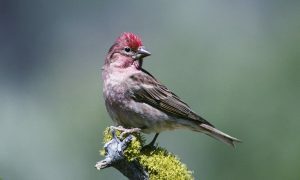 Following that, the female makes a nest with twigs, weed stems, and rootlets where she lays 3-6 bluish green, black and brown spotted eggs. She incubates them for 12-14 days. 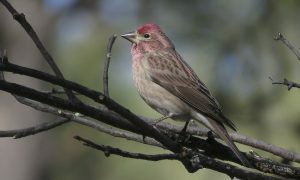 The male usually feed the female during the phase. After hatching, the juveniles are fed by both the parents. After two weeks, the young ones leave the nest. They attain sexual maturity at around 1 year of age. 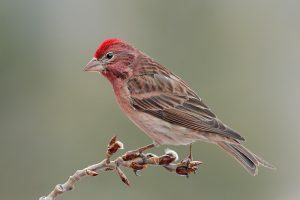 The male finches look similar to a female during his first year, so female finches often ruffle their beautiful plumage to indicate that she is not a male. Cassin’s finches are known for their salt craving and they often fly to mineral deposits for satisfying the quench. 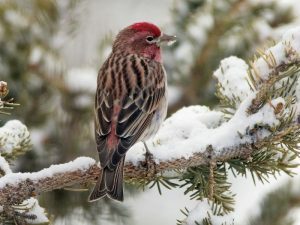 Published on February 2nd 2019 by Sahana Kanjilal under Coniferous Forest Animals.